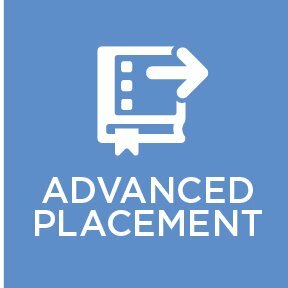 Advanced Placement (AP) courses are university-level courses taken by high school students. Students may choose to demonstrate their understanding and application of the material studied by taking AP examinations in May. The College Board standardizes curricula and examinations. Student’s motivation for taking advanced placement courses may vary, but all who participate are better prepared for their post-secondary lives: learning how to tackle challenging academic issues, honing time management and study skills, and most importantly – building confidence. At some colleges or universities, students who receive a high score on their AP exam(s) will receive a credit and/or be exempted from introductory courses, allowing for direct entry into second-year core courses, or eligibility to take extra classes. Regardless of this, students who take advanced placement courses stand out, letting colleges and universities know that they have what it takes to succeed in an undergraduate environment. Blyth Academy Burlington offers advanced placement. 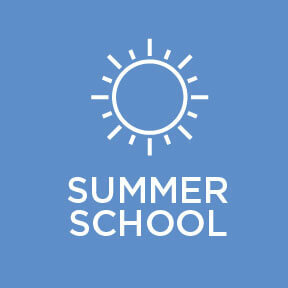 Contact our Guidance Counsellor Maria Leonardo (maria.leonardo@blytheducation.com) for more information. Students must have taken second-year algebra before enrolling in AP Statistics. AP Calculus AB is roughly equivalent to a first-semester post-secondary calculus course devoted to topics in differential and integral calculus. 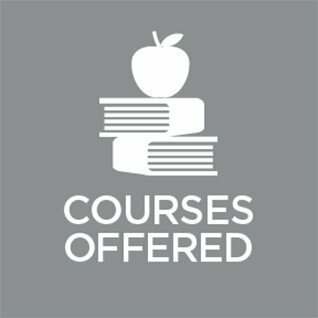 The AP course covers topics in these areas, including concepts and skills of limits, derivatives, definite integrals, and the Fundamental Theorem of Calculus. The course teaches students to approach calculus concepts and problems when they are represented graphically, numerically, analytically, and verbally, and to make connections amongst these representations. Students learn how to use technology to help solve problems, experiment, interpret results, and support conclusions. Before studying calculus, all students should complete four years of secondary mathematics designed for college-bound students: courses in which they study algebra, geometry, trigonometry, analytic geometry, and elementary functions. These functions include linear, polynomial, rational, exponential, logarithmic, trigonometric, inverse trigonometric, and piecewise-defined functions. In particular, before studying calculus, students must be familiar with the properties of functions, the algebra of functions, and the graphs of functions. Students must also understand the language of functions (domain and range, odd and even, periodic, symmetry, zeroes, intercepts, and so on) and know the values of the trigonometric functions at the numbers 0, ?/6, ?/4, ?/3, ?/2, and their multiples. AP Calculus AB is roughly equivalent to a first-semester college calculus course devoted to topics in differential and integral calculus. The AP course covers topics in these areas, including concepts and skills of limits, derivatives, de nite integrals, and the Fundamental Theorem of Calculus. The course teaches students to approach calculus concepts and problems when they are represented graphically, numerically, analytically, and verbally, and to make connections amongst these representations. Students learn how to use technology to help solve problems, experiment, interpret results, and support conclusions. Before studying calculus, all students should complete four years of secondary mathematics designed for college-bound students: courses in which they study algebra, geometry, trigonometry, analytic geometry, and elementary functions. These functions include linear, polynomial, rational, exponential, logarithmic, trigonometric, inverse trigonometric, and piecewise-de ned functions. In particular, before studying calculus, students must be familiar with the properties of functions, the algebra of functions, and the graphs of functions. Students must also understand the language of functions (domain and range, odd and even, periodic, symmetry, zeroes, intercepts, and so on) and know the values of the trigonometric functions at the numbers 0, ?/6, ?/4, ?/3, ?/2, and their multiples. The AP Chemistry course provides students with a college-level foundation to support future advanced coursework in chemistry. Students cultivate their understanding of chemistry through inquiry-based investigations, as they explore topics such as atomic structure, intermolecular forces and bonding, chemical reactions, kinetics, thermodynamics, and equilibrium. There are no prerequisite courses for AP Chemistry. The AP English Literature and Composition course aligns with an introductory post-secondary level literary analysis course. The course engages students in the close reading and critical analysis of imaginative literature to deepen their understanding of the ways writers use language to provide both meaning and pleasure. As they read, students consider a work’s structure, style, and themes, as well as its use of figurative language, imagery, symbolism, and tone. Writing assignments include expository, analytical, and argumentative essays that require students to analyze and interpret literary works. There are no prerequisite courses for AP English Literature and Composition.